All employees and students are provisioned a Dropbox account. 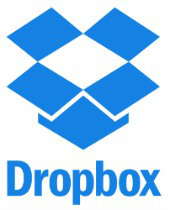 If you have not signed up for a Dropbox account, please contact IT Support Desk at itservices@exeter.edu. All personal, non-Academy related files (such as family photos or documents) should be stored in a personal cloud storage solution of your choice (Dropbox, OneDrive, Google Drive, etc.). Note: Upon graduation, withdrawal, or end of employment from Phillips Exeter Academy, your access to Phillips Exeter Dropbox will expire.